The last in my series spun from this year’s Bokbierfestival programme. It’s a much shorter set than the others, with only 11 examples. Ten really, as one is just the 2014 of the same beer, Duits & Lauret Rook Dubbelbock. Mommeriete and Zeeburg are the only to that were bottom-fermented. Which struck me as odd. Surely Brand can't be top-fermented, s the programme claims? I have to start off with the term Dubbelbock itself. It’s a mix of Dutch and German. 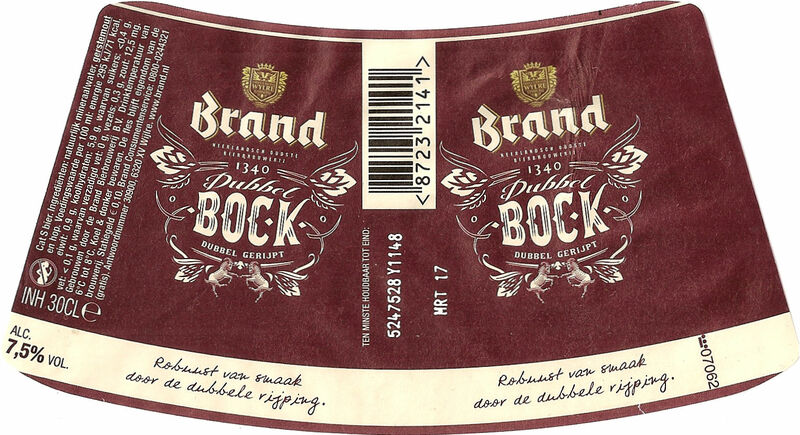 Proper Dutch would be Dubbelbok, proper German Doppelbock. You’ll note that none of the beers below uses either. I can only think of one explanation. 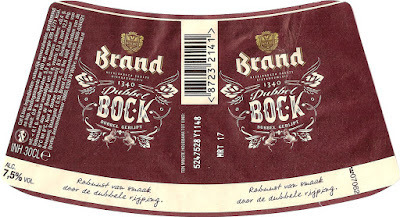 Everyone is copying the name of Brand Dubbelbgock, the first beer of this type brewed in Holland. According to the German definition, a Doppelbock should have a minimum OG of 18º Plato. Something all the beers in the table managed, except for Duits & Lauret and Bijdehand. With a gravity of 26º Plato, Emelisse have some justification for tacking on an Imperial to their beer’s name. It has the highest OG and highest ABV of any of the beers at this year’s festival. A quick comparison with my other two categories is illuminating. Unsurprisingly the average OG of the Dubbelbocks is easily the highest. More surprisingly, it’s FG is only slightly higher, giving it this group the highest degree of attenuation. Not what I would have guessed at all. That Dubbelbock is both darker and more bitter on average makes lots of sense. Though there is considerable variation amongst the individual beers for both. Which means I’m not sure you can read too much into the averages. Maybe I’ll be arsed to do the foreign Bocks.